Warm thanks to all the people, businesses and organizations involved in the project! 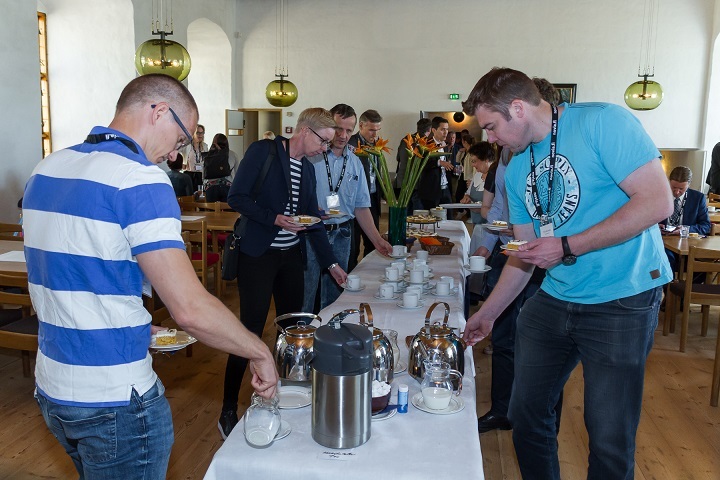 The final seminar of ÄlyVESI – Smart City Ferries project was held, 22 May 2018, at the historical Turku Castle. About 80 experts and stakeholders participated in the seminar. 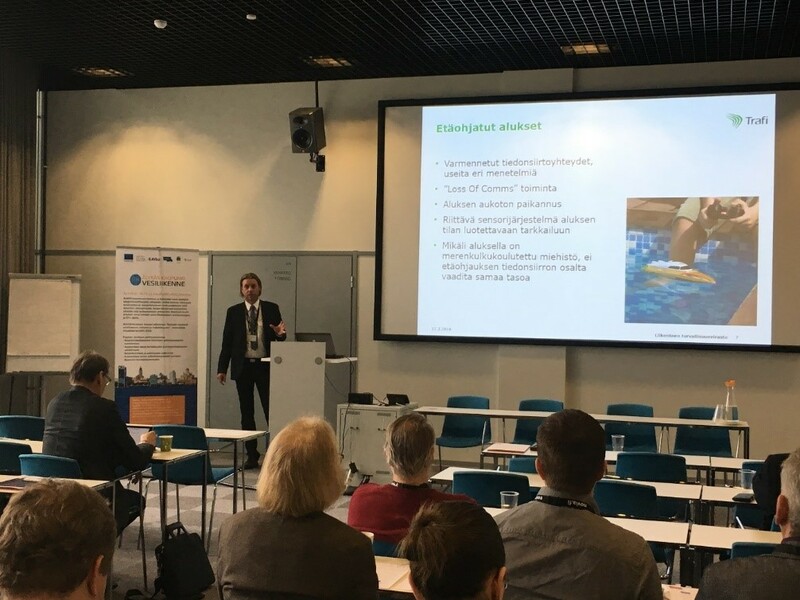 The presented topics were Concepts and services of smart urban waterway traffic, Smart pier concept, Safety of autonomous ferries, Energy solutions for autonomous ferries, Sensor technology and remote operation of autonomous ferries, Connectivity and information security, Connectivity test at Archipelago Sea and The Use of results in follow-up projects. 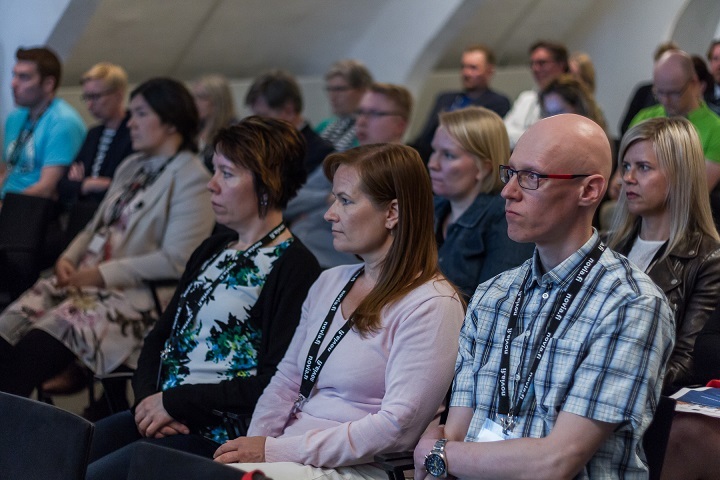 The speakers at the seminar were Tarmo Karhu and Jari Lahtinen from Turku University of Applied Sciences, Satu Salmela from Remotec Oy, Jussi Savolainen from Satel Oy and Sirpa Kannos and Mirva Salokorpi from Novia University of Applied Sciences. 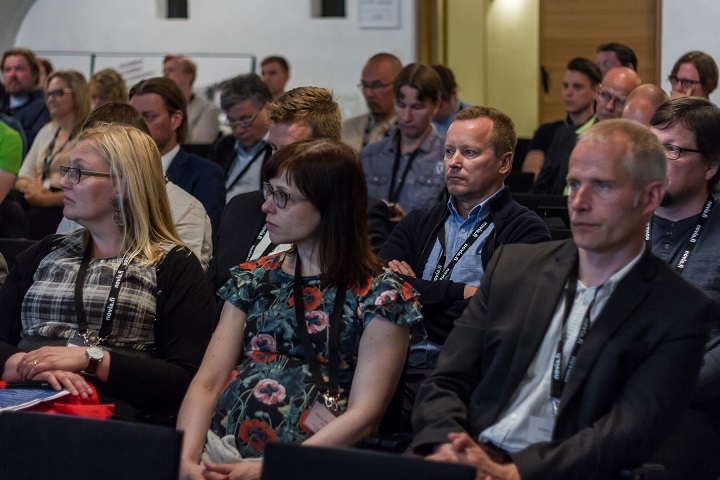 The Smart City Ferries final seminar was a 6Aika side event of the Shift Business Festival 2018. A big thank you to all the participants and speakers! 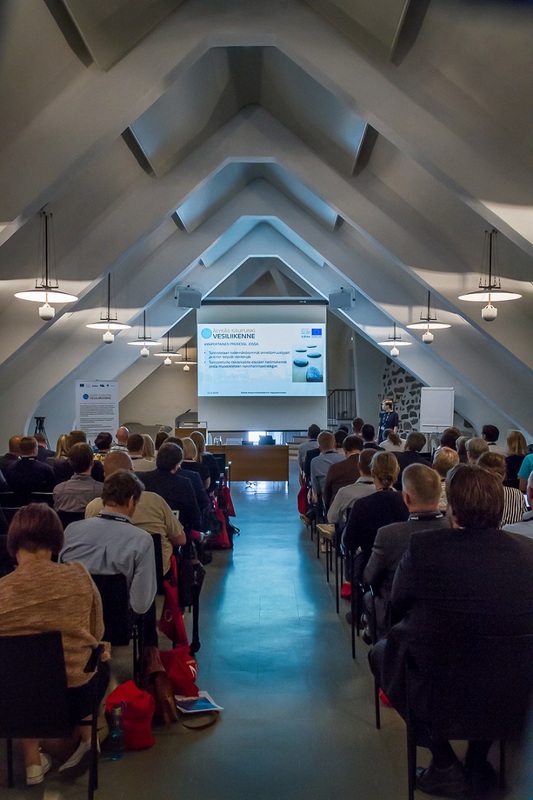 A series of four workshops/seminars related to remote operation of autonomous vessels collected Finnish stakeholders together to gain information, network and innovate in February and March 2018. All together 47 technology and shipping companies, authorities and universities participated the events. Thank you for all the participants and speakers! The Smart City Ferries project takes part in Stockholm Furniture & Light Fair! 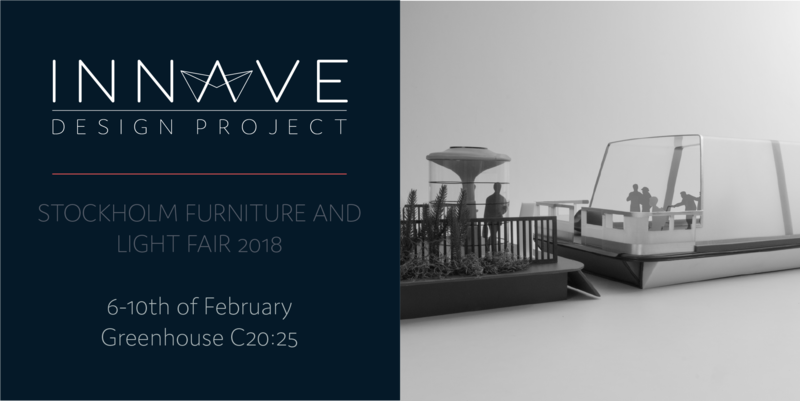 The multidisciplinary student group from Turku University of Applied Sciences, commissioned by the Smart City Ferries project, takes part in Stockholm Furniture Fair 6-10th of February 2018. The product concept ideas for an unmanned city ferry are exhibited in Greenhouse, stand C20:25. The product designs aim to solve passenger safety issues, create smart solutions and increase travel comfort. 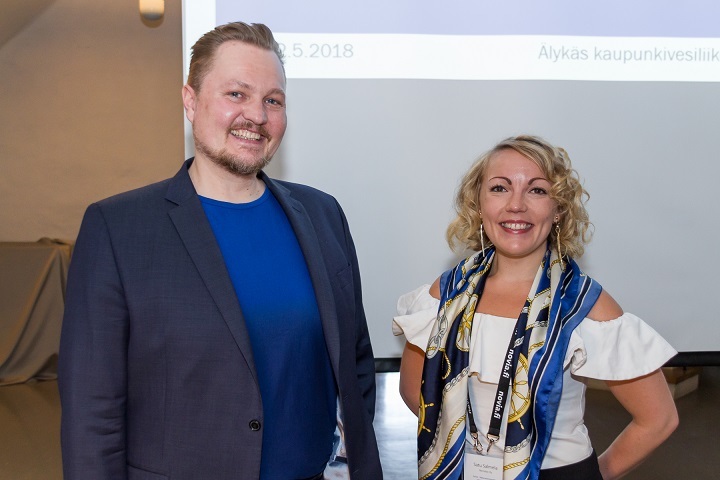 ÄlyVESI project's duration was extended until May 31st 2018. Research, development and testing will continue with full steam until the end of March 2018. 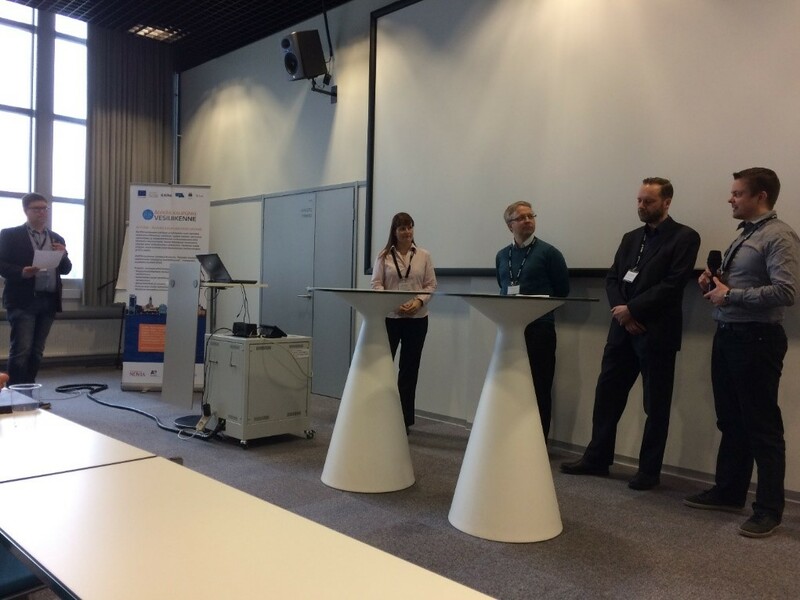 In the last two months of the project, the focus will be on reporting and disseminating the project results. More information about the ÄlyVESI final seminar coming in the beginning of the year! 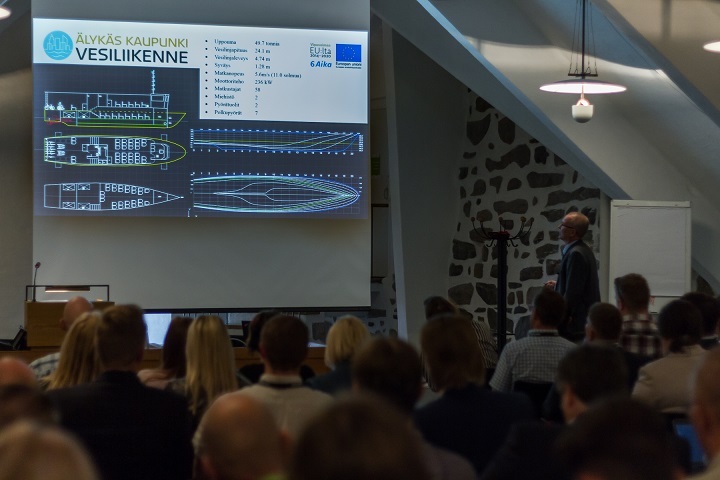 ÄlyVESI- Smart city Ferries project started field tests related to the unmanned vessel operation in June 2017. 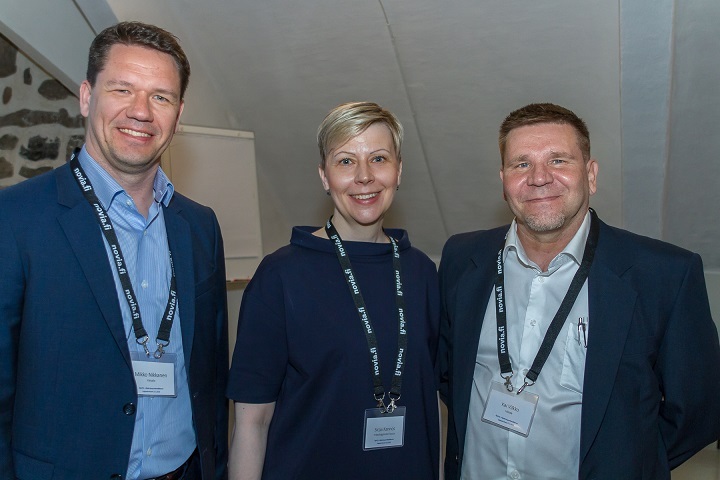 The first test was done in co-operation with Brighthouse Intelligence Ltd and Åbo Akademi University. It focused on the ability of a LiDAR laser scanner to detect the traffic around the vessel on river Aura. Experience the atmosphere of the first test in the sunny city of Turku from the video below! Testing of the sensor technology will be continued throughout the fall. Field tests will also be commenced in new research areas, i.e. 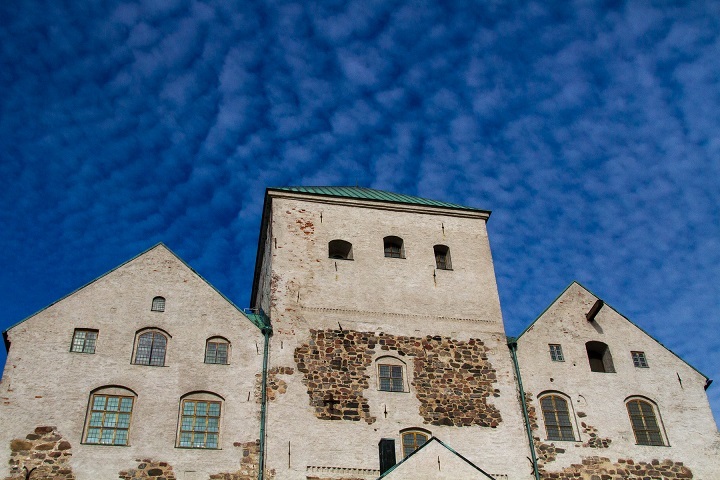 data transfer tests in the Archipelago of Turku will be started. 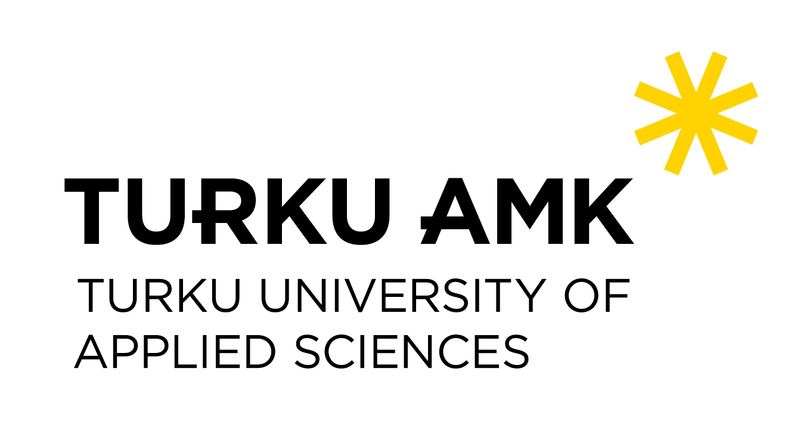 Smart City Ferries project, together with Turku University of Applied Sciences, has offered an opportunity for summer students from Turku UAS to take part in collecting user information about travelling on water in Turku Archipelago at Tall Ships Races 2017 event in Turku on 20-23rd of July. The aim is to collect user information through a nice combination of family friendly activities. 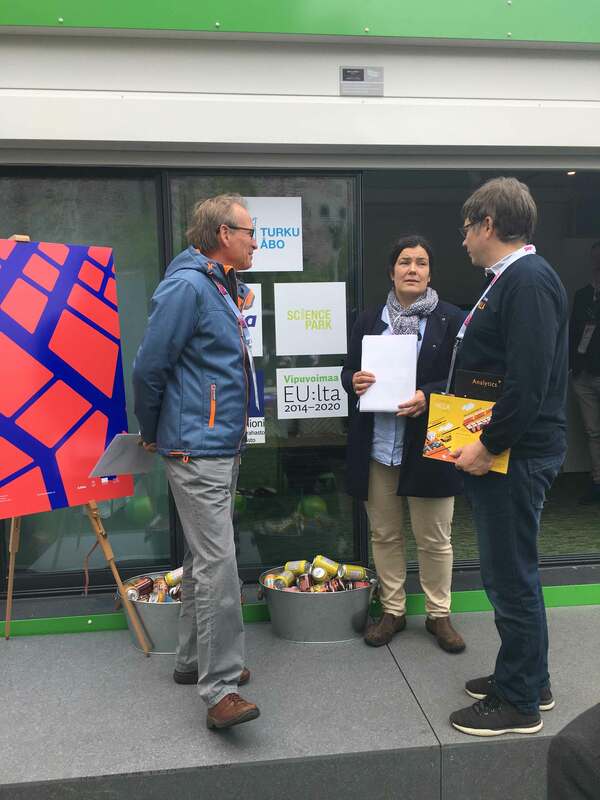 Turku UAS and the Smart City Ferries project have a shared tent in Turku Barker’s park. Turku UAS students have created the Turku Archipelago themed map game to the tent. With the map game, you can test how well you know the Turku Archipelago. For example, could you point on the map where Naantali Moomin world is or an island called Seili? There is also drawing paper, crayons and marker pens available in the tent to allow visitors to draw their own dreams of watercraft or other means of transport for water. 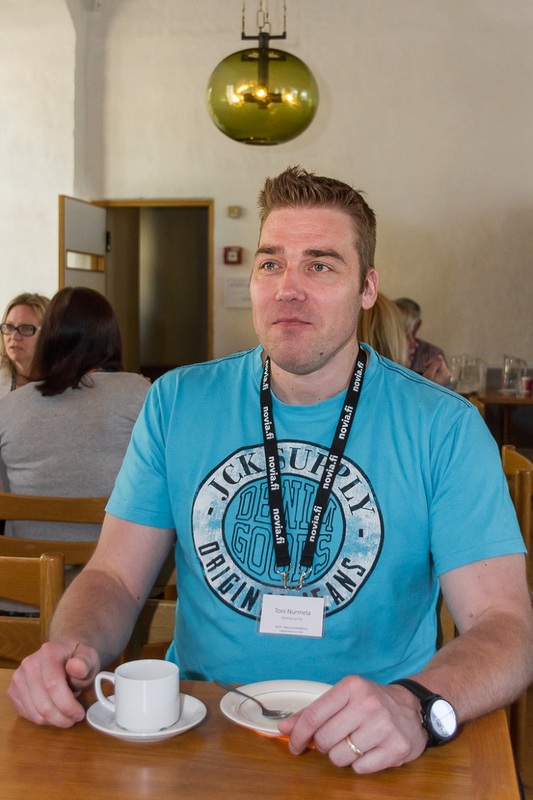 At the same time, you can also share your own wishes on developing the Turku Archipelago and for example, draw the desired water route to the Turku Archipelago map. 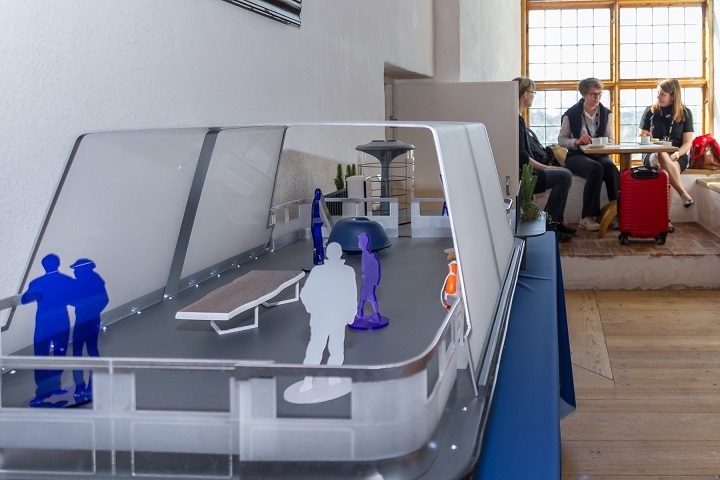 On the tent is also a miniature model to the automated ferry, which has been planned to be operated in Aurajoki. The concept proposal has been developed by designer students from Turku UAS. In addition, the tent has a Pop up store on Fri-Sat 21-22nd of July from 10 am - 2 pm. In the Pop up store, you can buy products made by Turku UAS students from recycled banderoles. The tent is open from Thurs-Sat 20-22nd of July at 10 am - 7 pm and on Sunday 23rd of July from 10 am - 6 pm. Welcome! 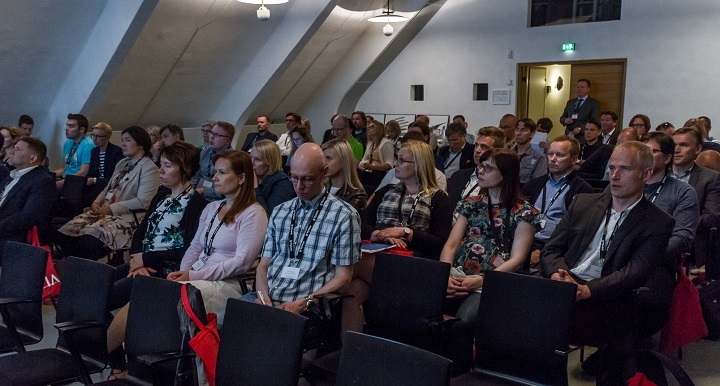 SHIFT business festival gathered 2300 people to Turku Castle Park at the end of May. The theme for SHIFT was collaboration between human and machine, but also collaboration between people. 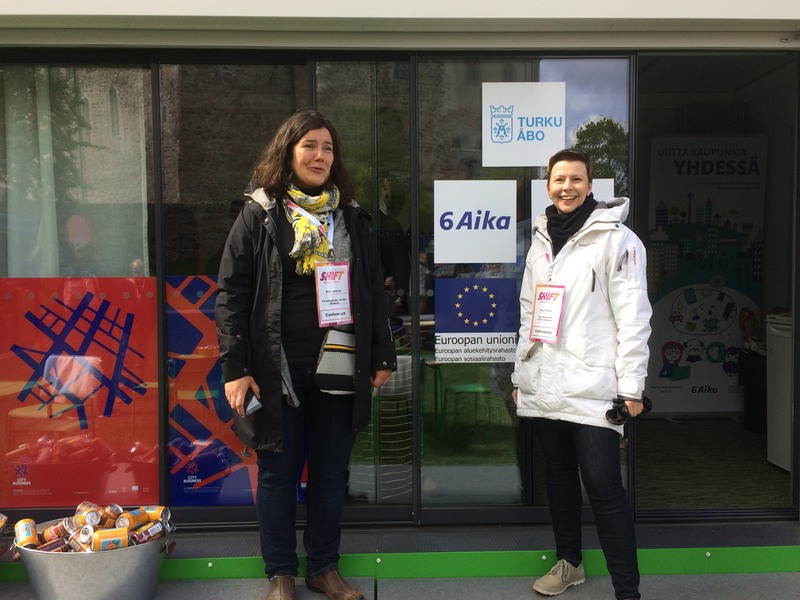 Despite of the many stages, pitching competitions and other interesting happenings there were also many visitors in the pop up container village, where the ÄlyVESI crew presented their project and networked on both festival days. The weather might have been chilly, but the conversations were interesting and resulted in new co-operation with both companies and other projects. 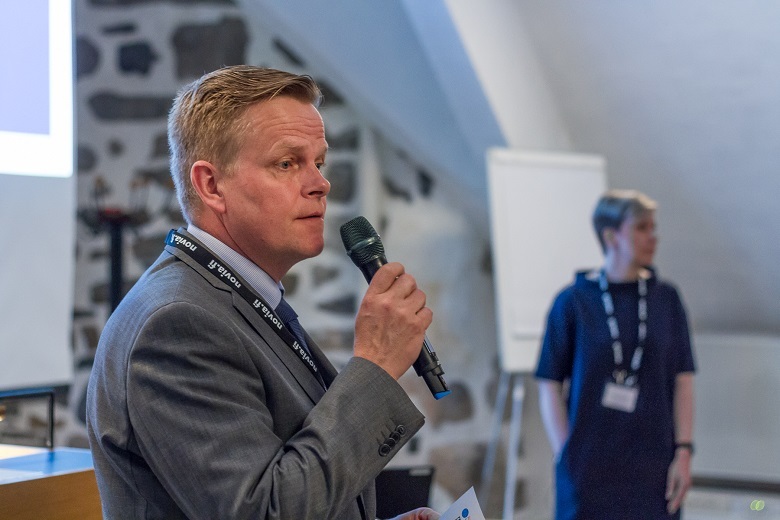 The City of Turku organized a Smart City Event as a SHIFT side event. 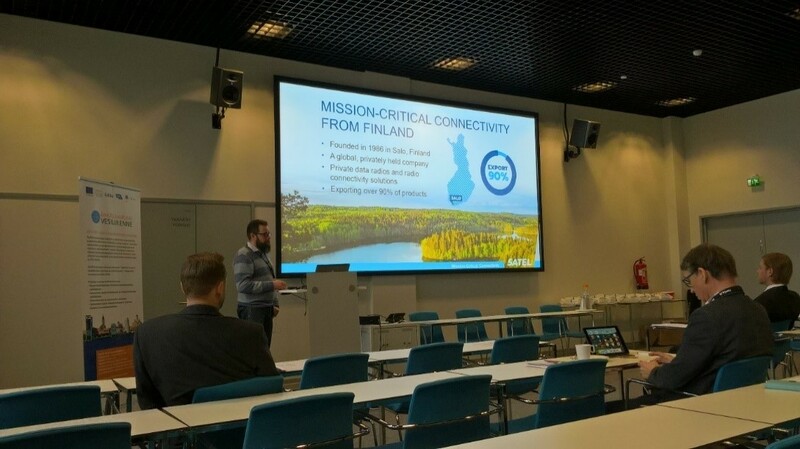 At Smart City event development of the 6Aika cities (Espoo, Helsinki, Oulu, Tampere, Turku and Vantaa) into smart cities was pondered. 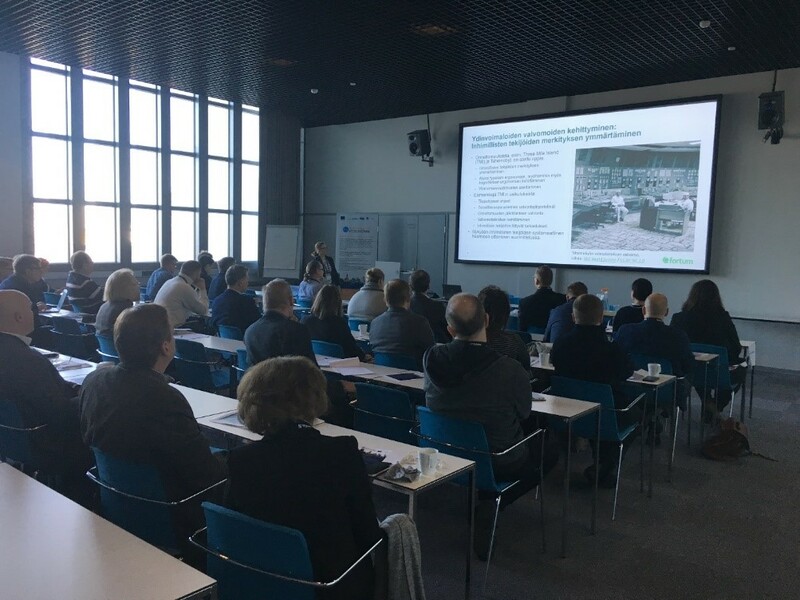 ”ÄlyVESI project is an important part of this development” says Mirva Salokorpi, R&D Manager from Novia University of Applied Sciences. 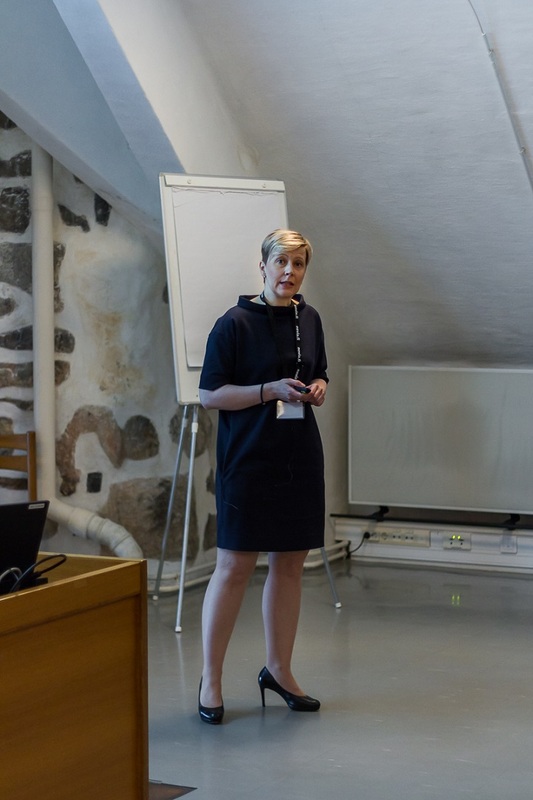 Project Manager Sirpa Kannos describes the project’s innovative nature: ”I see the ÄlyVESI –project as an innovation platform for new smart solutions to evolve from”. 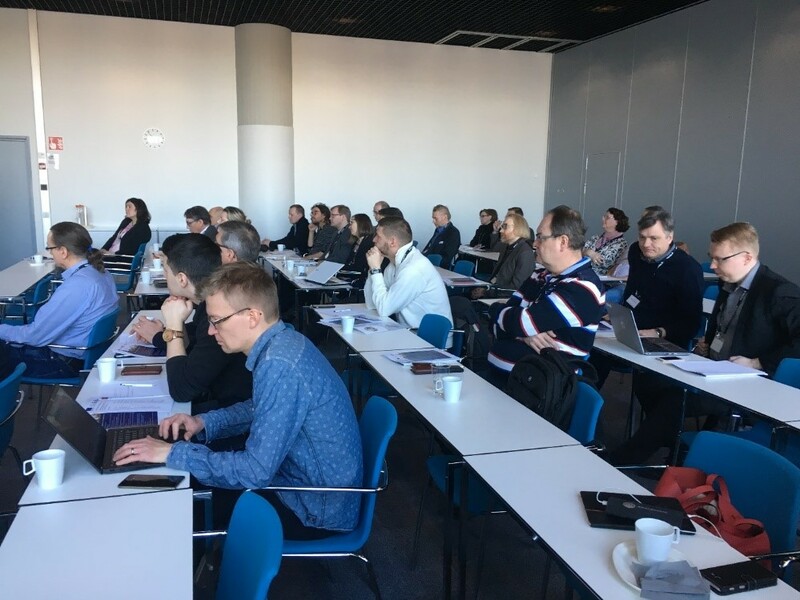 During the autumn 2016 student project workshop from the Turku University of Applied Sciences commissioned an online survey and urban street survey of residents' opinions on the development of smart urban waterway mass traffic and an opportunity of a new automated city ferry. Online survey was participated by more than 300, and the urban-street survey of about 60 respondents. The results were announced 14.12.2016. 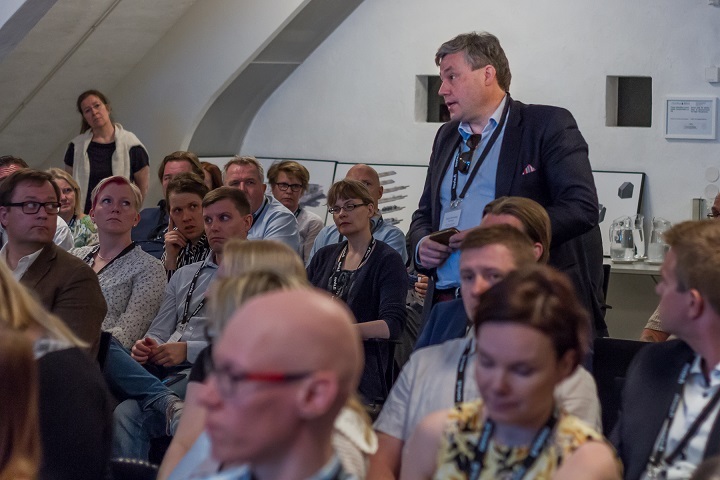 The questionnaire asked for comments and opinions of a need for new ferry crossing the river Aura between Forum Marinum and Telakkaranta, as well as new routes, such as Ruissalo, Hirvensalo or other routes from Forum Marinum toward the city center along the river. They were also asked about trusting on the automated ferry, paying for the service, as well as any additional services needed. Also environmental friendliness emerged as one topic of discussion. The majority of the respondents saw the opportunity of new smart city ferry welcome. Ruissalo, as a new route of regular public transport by waterway was seen as an interesting and welcome service. Most of the respondents have confidence in the automated ferry. Energy efficiency as well as environmental friendliness were considered important. 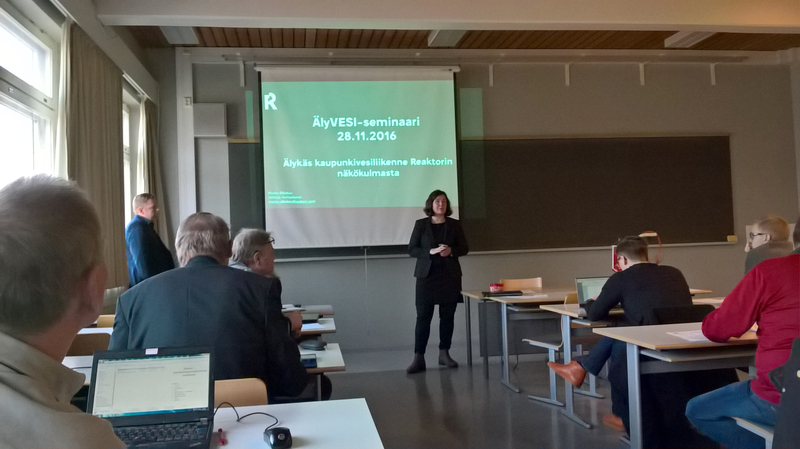 The first seminar of the Project ÄlyVESI-Smart City Ferries was held on 28.12.2016 at Turku University of Applied Sciences. 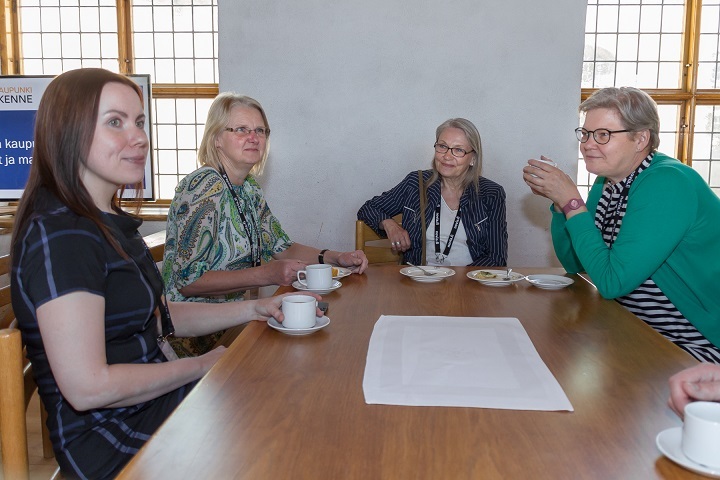 The opening was attended by partners and other representatives of the cities of Helsinki, Espoo and Turku as well as universities and authorities. 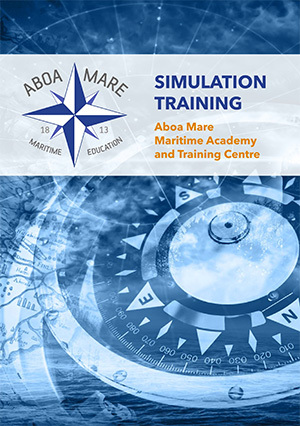 Researchers, students, authorities and Maritime sector companies were represented. During the event, interesting presentations of intelligent urban waterway traffic were offered. 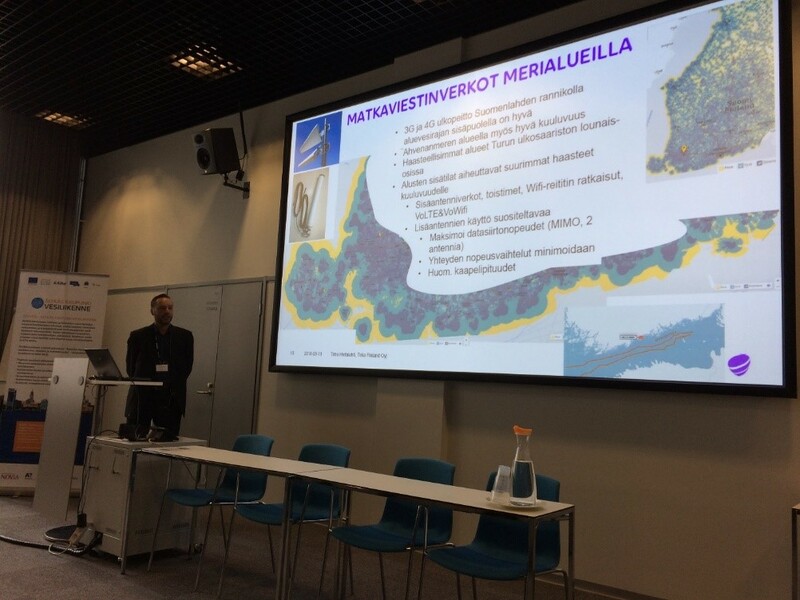 The City of Helsinki has an extensive investigation of costal waterway areas in progress. Their presentation was based on utilization of the waterway for mass transport and the possibilities to use it in an intelligent way. 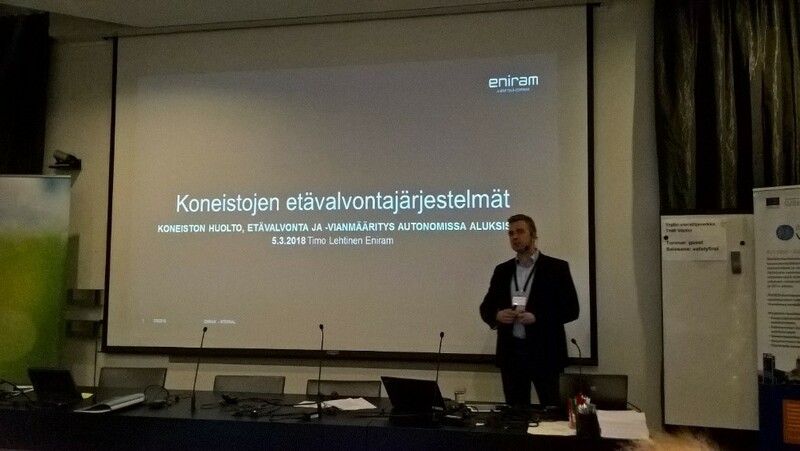 Representative of the City of Turku presented contemplates and plans of the implementation of intelligent services in the context of new mass transport traffic solutions. Representative of Trafi brought points of view and perspective from authorities. It showed that, especially experimental testing and operation of autonomous vessels are welcome. Safety and regulatory compliance must be demonstrated by the vessel’s manufacturer, operator and service provider. 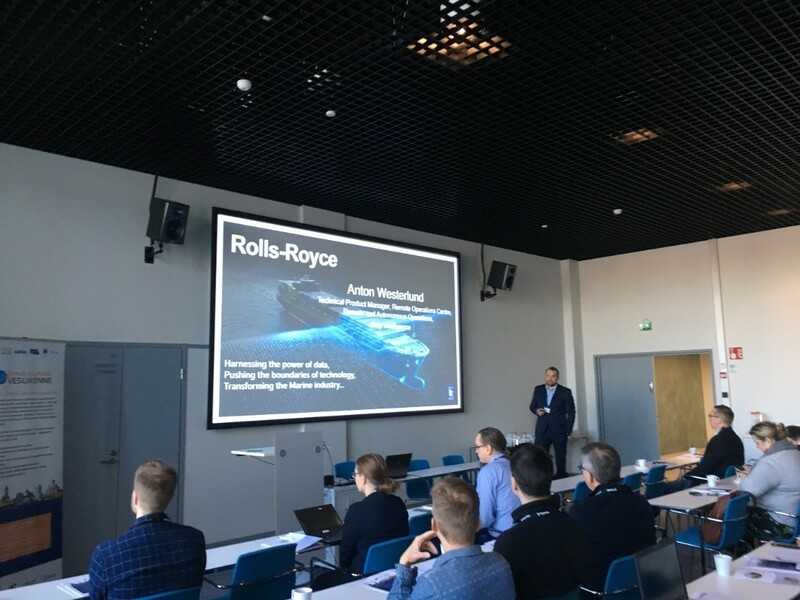 A technology company, Reaktor Oy, presented intelligent and automated solutions as an opportunity for an automated and unmanned ferry. Reactor also considers the smart waterway traffic solutions as an opportunity for the development of new intelligent navigation and automation solution packages. 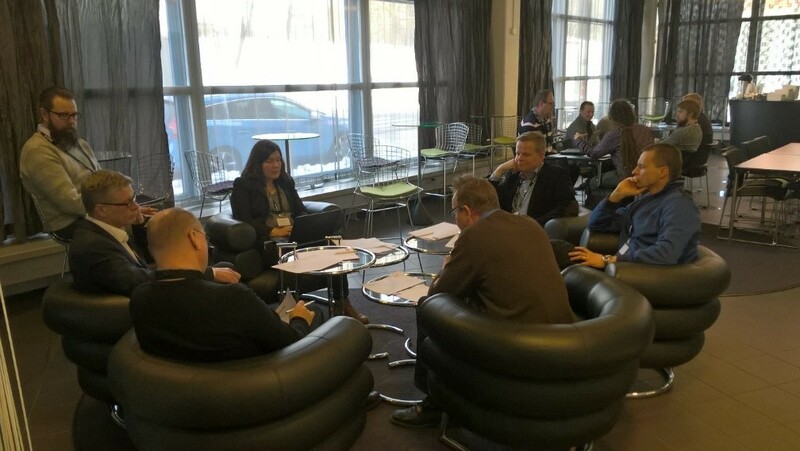 At the end of the day, concepts and services as well as safety matters were discussed in smaller work groups. In the service part the utilization of archipelago more widely on free-time touring for local population and tourism arose to an important level. On safety side, passenger’s feelings and understanding of safety matters considered to be a very important aspect when process the vessel design engineering.